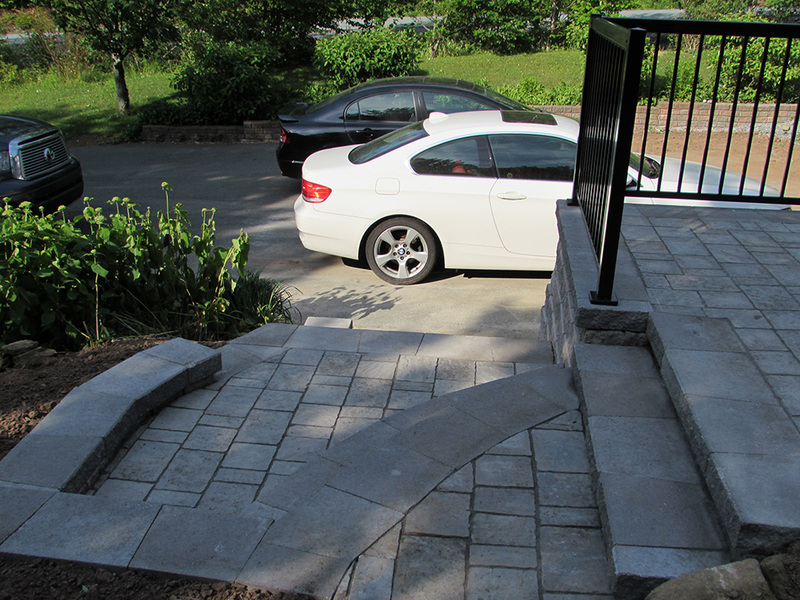 A dynamic change from a worn wooden front entrance to a stunning sleek stone walkway left this home owner breathless. 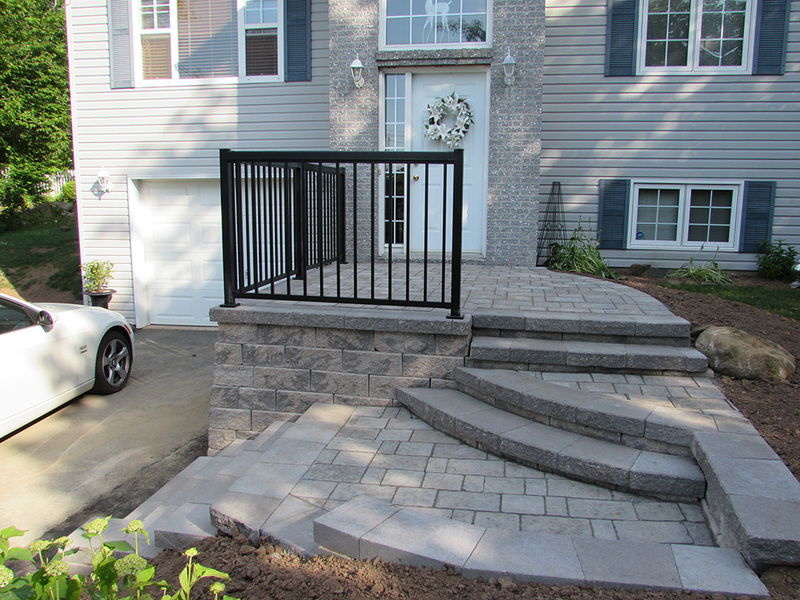 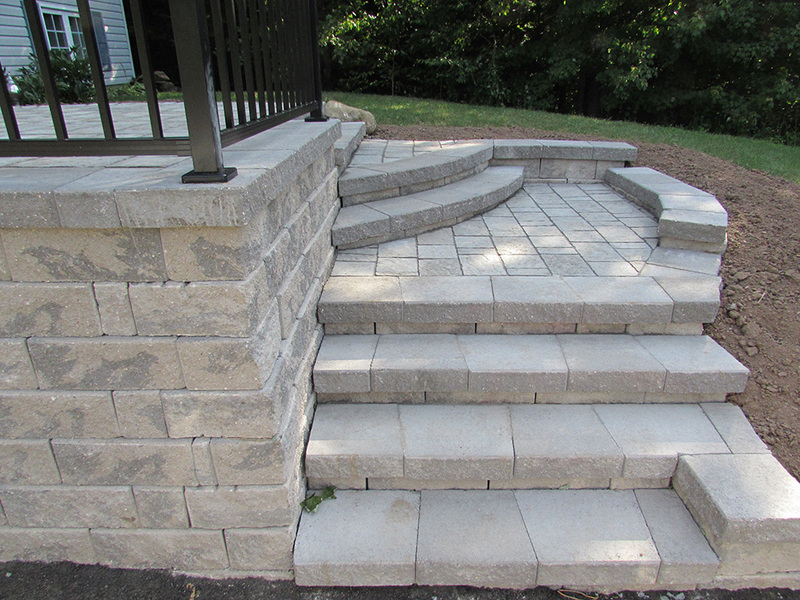 This custom built stone entrance was designed using Trafalgar pavers and adding curves with Versa Lok Steps. 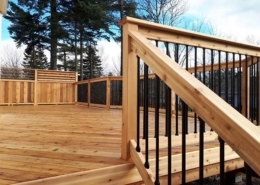 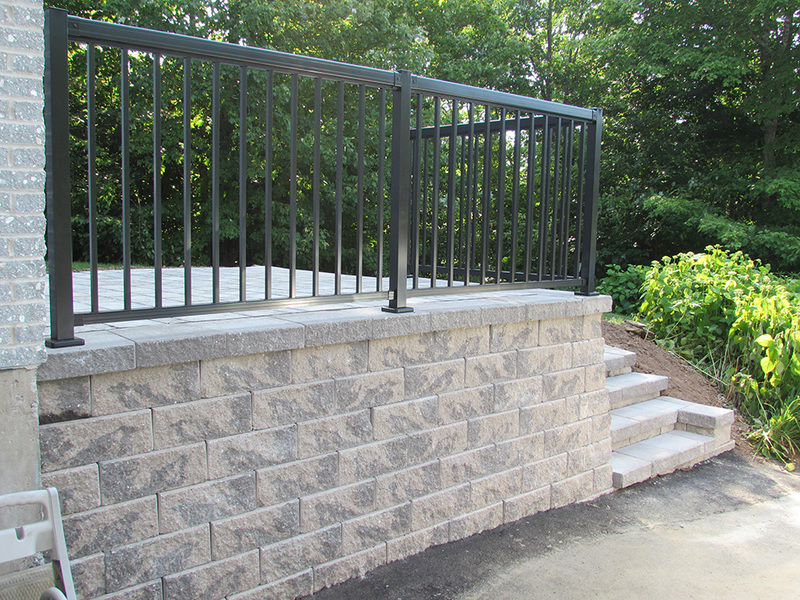 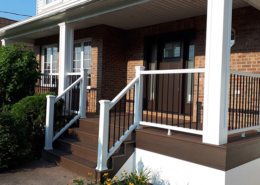 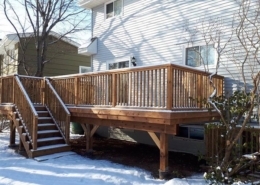 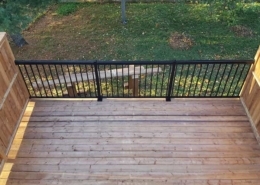 To define this beautiful walkway a Regal aluminum railing was installed. 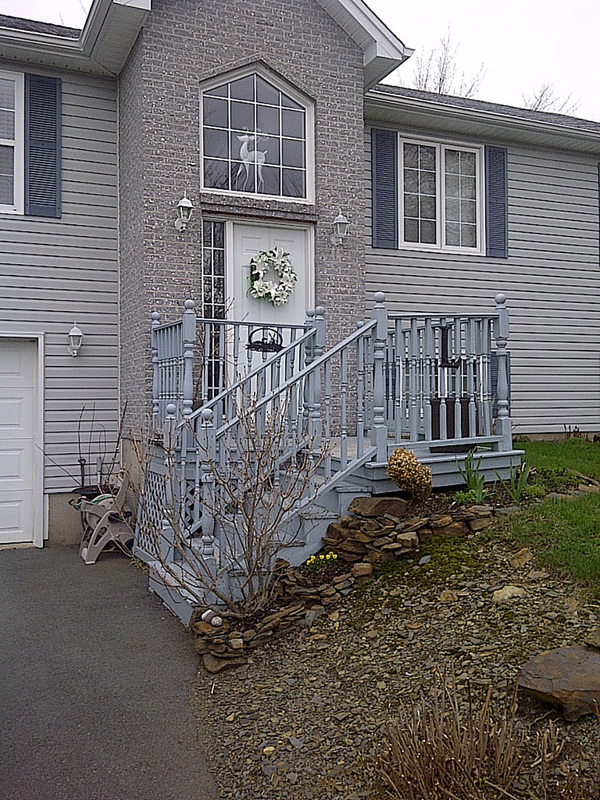 This front entrance is one to be proud of, elegance at its best.